There is an artistic side of me seeking to be remembered by the other side of me. You know, the busy side. Beyond the many responsibilites I have, I want to carve some time out of my day to be creative. And so that is just what I’m doing. I took advantage of some free time over the holiday break, and I’ve begun my lastest fabric art project. Ever since I finished the Explorer’s Colorful Cars quilt in November, I’ve been planning in my mind. 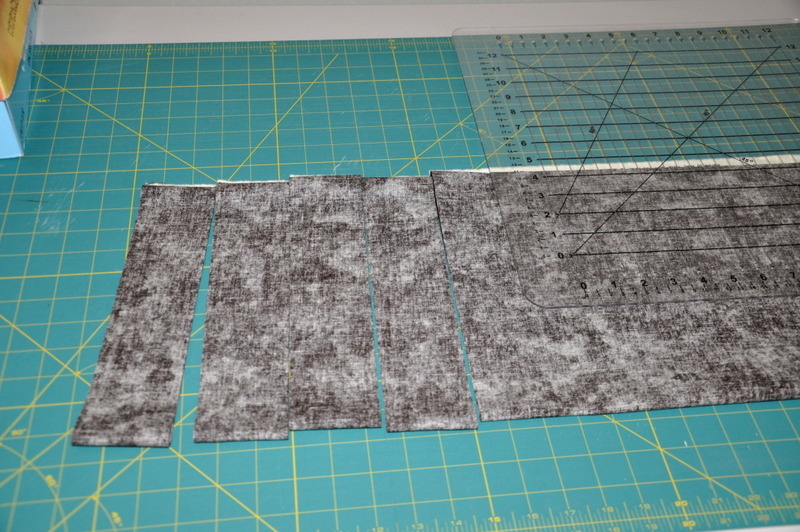 This will be the first of several posts regarding the North Woods quilt I’m making for the Architect, 8. You’re welcome to follow along with me during my journey to develop this quilt [and remember my artful side] through both its trials, and hopefully, eventual success. My son loves all things outdoors like trees, moose, bears and cabins. I was inspired by several North Woods quilt patterns I’d seen over the years, and I’ll put them all together into a design for this twin-sized quilt. 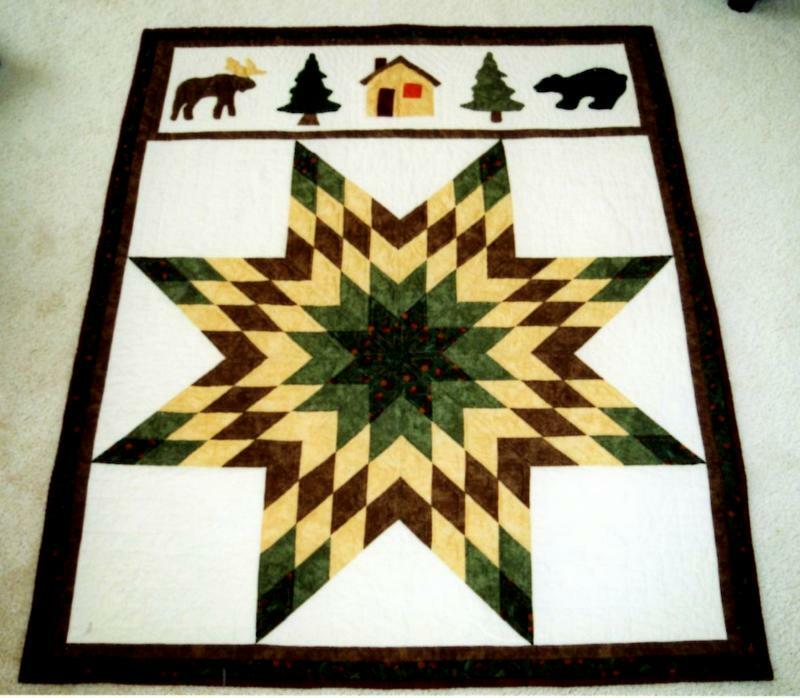 About 8 years ago I designed this baby quilt for him, also North Woods themed. Similar to the Amish, I also construct my larger quilts with a pillow fold, where you fold back the head of the quilt to tuck the pillow in. Though this may add an extra 11 to 16 inches to the quilt top, I don’t mind. Then I don’t have to make accompanying shams. My son and I recently made a trip to the local quilt store. I’m fortunate to live about two miles from the coolest quilt store in the state! Really. The selection in this store is amazing. We wandered around a bit, but were soon drawn to the fall colored woodsy-themed patterns. The owner came over and helped us with choosing between a few different reds, and I was impressed with her knowledge. For example, she advised against a lined fabric, because she said it’d be more difficult to line up the lines when piecing. She also special ordered for us some soft fabric backing to make the quilt especially warm. 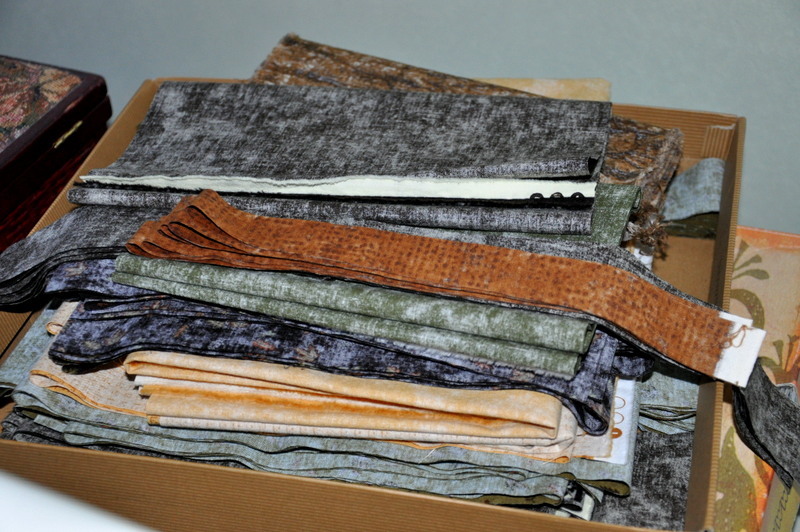 The colors of this quilt will be mostly greens, browns, and a little orange and red. I always wash my fabric before using to shrink it right away and test for color bleeding. I just throw it in with some gentle deteregent and take it out when it’s a little damp to iron it to prepare for cutting. This quilt will be a combination of both machine piecing and hand applique. 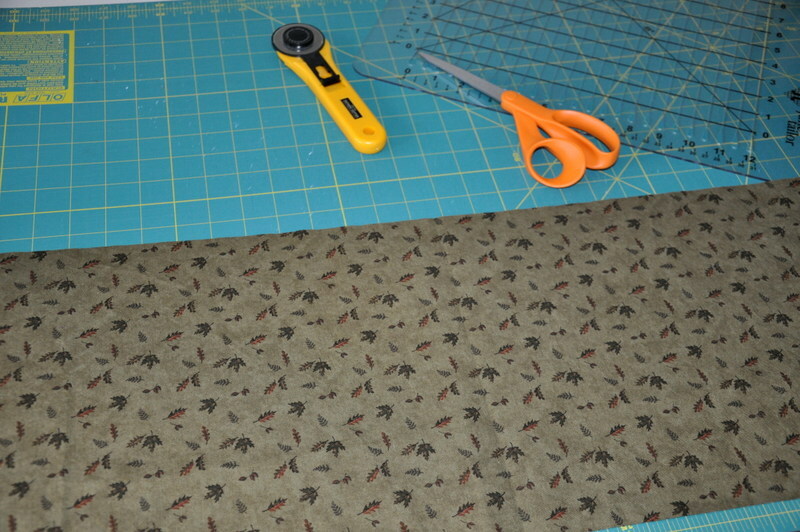 Machine piecing is relatively simple, IF you are careful with cutting and 1/4″ sewing. I fold the fabric, line up the ends, fold once more, and then I cut. A wise person once said to measure twice, cut once. Speaking from personal experience, I’ll tell you that that’s great advice. Here are some of the items that I’ve found useful for cutting, especially the pizza cutter looking thing (a rotary cutter). I cut for a for about an hour or so, of course with a little music playing in the background. There. That’s more like it. All done with my cutting. This is a good place to pause for now. Please send your prayers or positive thoughts my way for this next step. Thanks!